The Global Entrepreneurship Institute (GEI) is a non-profit organization with the specific mission of educating and supporting entrepreneurs around the world. Working as a global business incubator GEI facilitates introductions to investors, professional service providers, and other entrepreneurs. We feel that it is not enough to just focus on inventors and breakthrough innovations. We found that entrepreneurs need to be cultivated as well, so that innovations can be turned into jobs and economic growth. Using our exclusive Roadmap to Entrepreneurial Success we have helped entrepreneurs raise over $100 million and create companies that are worth hundred of millions of dollars. We are supported by sales of publications, entrepreneurs, venture capitalists, investment bankers, angel investors, and individual donors. Our books and course materials are used in the Top 10 best graduate programs in the USA that teach entrepreneurship, and 8 of the Top 10 best undergraduate programs in the USA that teach entrepreneurship. The Argyros School of Business and Economics at Chapman University develops business leaders who create value for their organizations. Nationally ranked in entrepreneurship by Entrepreneur Magazine and The Princeton Review, the school provides advice in start-up strategies, business and marketing plans, strategies for growing firms, and guidance in securing angel or venture capital funding. Entrepreneurship and ethics as well as written and oral communication skills are integrated throughout the curriculum along with elements of global business. Students are provided opportunities for participation in student organizations, entrepreneurial internships, business plan contests, consulting team projects, and mentorship programs.Chapman’s entrepreneurship program was recently selected by the United States Association for Small Business and Entrepreneurship (USASBE) as the first-place winner of the Innovative Pedagogy Award. Additionally, Women 3.0 magazine recently included Chapman University in their listing of Top 50 MBA Programs with an entrepreneurship focus. 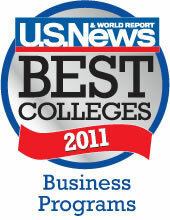 The Argyros School of Business and Economics is fully accredited by AACSB and offers bachelor’s degrees in business administration, economics and accounting as well as the MBA and EMBA. Venture capital has enabled the United States to support its entrepreneurial talent and appetite by turning ideas and basic science into products and services that are the envy of the world. The National Venture Capital Association (NVCA), comprised of more than 400 member firms, is the premier trade association that represents the U.S. venture capital industry. NVCA’s mission is to foster greater understanding of the importance of venture capital to the U.S. economy, and support entrepreneurial activity and innovation. The NVCA represents the public policy interests of the venture capital community, strives to maintain high professional standards, provides reliable industry data, sponsors professional development, and facilitates interaction among its members. Draper Fisher Jurvetson (DFJ) backs extraordinary entrepreneurs everywhere who set out to change the world. DFJ achieves its mission through its DFJ Global Network of Partner Funds. Together, DFJ and the Network manage over $7 billion and have made more than 600 investments on four continents. With a history of success across diverse sectors and market conditions, DFJ has led the way investing in emerging technologies, from the Internet and life sciences to clean energy and nanotechnology. DFJ’s mission is to identify, serve, and provide capital for extraordinary entrepreneurs anywhere who are determined to change the world. Since its founding in 1985, DFJ has been proud to back companies across many sectors including such industry changing successes such as Hotmail (acquired by MSFT), Baidu (BIDU), Skype (acquired by EBAY), United Online (UNTD), Overture (acquired by YHOO), Athenahealth (ATHN), EnerNOC (ENOC), TicketsNow (acquired by TicketMaster), Feedburner (acquired by Google), Interwoven (IWOV), Four11 (acquired by YHOO), Parametric (PMTC), and Digidesign (acquired by AVID). We are a seed-stage and early-stage venture capital fund. We’re looking to invest in entrepreneurial teams with big ideas and a need for seed capital to turn their ideas into great companies. We are willing to invest in unproven teams attacking unproven markets with unproven solutions. We’re not interested in teams that are creating the nth solution to the same old problem or companies who are trying to improve things by only 10 or 20 percent. Garage Technology Ventures’ portfolio companies are among the most cutting-edge technology companies in the world. Our investments cover a broad spectrum of technologies and markets, including software, hardware, telecommunications, application services, materials science, and clean technologies. Most of the companies in our portfolio have grown well beyond the garage, and many have become leaders in their sectors and have created tremendous value for their investors. The spirit of investing in opportunity inspires Silicon Valley Bank. We have partnered with, banked, and built relationships with the venture capital community for almost 30 years. Our foundation in, and focus on, your world gives us rare insight into, and an unparalleled understanding of the unique needs of venture capital firms. For you, this translates to leveraging our suite of global services and networks to satisfy the full spectrum of your needs. Not only do we have a dedicated team of specialists who create fully customized solutions, but our renowned quality of service and execution are what give you the agility to succeed where others would still be assessing the opportunity. Simply put, as the global leader in banking the top venture capital firms, we not only speak your language, we know your world. Draper Richards L.P. is a venture capital firm investing in early-stage technology companies. We fund entrepreneurs with the energy, vision, experience, and desire to build great companies. Draper Richards is an active investor, dedicated to helping entrepreneurs achieve their maximum potential through contacts, advice, and support. We provide portfolio companies assistance in the areas of strategy, executive team recruiting, and raising capital. Bill Draper is one of the West Coast’s first venture capitalists. He is General Partner of Draper Richards, L.P., a venture capital fund focusing on early-stage technology companies in the U.S. and Draper International, a venture capital fund investing in private companies with operations in the U.S. and India. Bill was founder of Sutter Hill Ventures in Palo Alto, CA. During his twenty years as the senior partner of Sutter Hill, he helped to organize and finance several hundred high technology manufacturing companies. Bill served as President and Chairman of the Export-Import Bank of the U.S. from 1981-1986. He also headed the world’s largest source of multilateral development grant assistance, the United Nations Development Program. In addition, Bill has served on numerous boards of prestigious political, philanthropic and business organizations. He received a B.A. from Yale University and an MBA with distinction from the Harvard Graduate School of Business. A partnership of experienced venture capital investors and technology executives. Founded in 1996, their mission is to identify and invest in seed, first round, and early stage technology and life science businesses with exceptional promise and help them grow into sustainable, market-leading companies. In addition, Polaris is committed to providing growth equity and shareholder liquidity to established companies in the technology, healthcare, manufacturing, media, communications, and business services sectors. As a national venture capital firm with offices in the high-tech centers of Boston and Palo Alto, they are able to invest in businesses throughout the United States and around the world. The firm has over $3 billion under management and current investments in more than 100 companies. Polaris has made investments in successful companies like Akamai, Allaire, Alnylam, Automattic, JibJab, LegalZoom, LogMeIn, PowerSoft, QuantCast, Sirtris, and SolidWorks. Dedicated to the forefront of emerging industries, Foley & Lardner LLP has established a significant presence in California and Silicon Valley, leveraging our strong intellectual property (IP), IP litigation, and business law capabilities to make inroads in the strategic life sciences and high-technology markets. Foley is a business law firm of 1,000 lawyers in 22 offices throughout the world. We represent companies from start-up to Fortune 100 stage including Hewlett Packard, Raytheon, Nokia, Stanford Hospital, and Wells Fargo among others. Our Silicon Valley Office represents start-up and emerging companies that are looking to rapidly expand domestically and internationally and the venture capital firms, angels and private equity groups that invest in them. The Band of Angels is Silicon Valley’s oldest seed funding organization. We are a formal group of more than 120 former and current high tech executives who are interested in investing their time and money into new, cutting edge, startup companies. We’ve seeded over 200 companies in our history with 40+ profitable M&A exits and 9 Nasdaq IPOs. Band members have founded companies such as Symantec, Logitech, and National Semiconductor and been senior executives at the likes of Sun Microsystems, Hewlett Packard, and Intuit. The Band meets monthly to formally consider three startups selected from among the more than 50 that are screened each month by the Band Deal Selection Process. Entrepreneurs can expect a thorough examination and, occasionally, an investment from some of Silicon Valley’s most accomplished entrepreneurs. IBM Venture Capital Group is dedicated to driving IBM’s commitment to innovation in the venture capital community. We accomplish our mission through proactively building strategic relationships with top-tier VCs, focusing on growth markets and emerging technologies important to IBM, to establish a strong ecosystem that fosters innovation. By working together, learn about the vast capabilities and resources that IBM has available to help portfolio companies: build infrastructure, mitigate risk, speed the path to market and profitability. 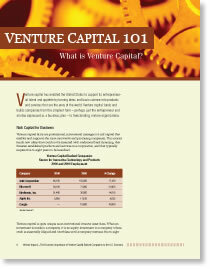 IBM Venture Capital Group does not perform equity or seed funding. Rather, we engage with established venture capital firms to find new, complementary, and relevant technologies for the industries and customers we serve. All support resources and relationships start with the IBM PartnerWorld program. IBM Venture Capital Group works with established venture capital firms and select venture-backed portfolio companies who are members of IBM PartnerWorld. The world’s largest, fastest growing event ticketing company. Eventbrite empowers anyone to host successful live experiences of any type or size by providing an easy way to manage, promote and sell out the event. As the engine for a new generation of live experiences, Eventbrite brings together transactions with social interactions to allow events to live, flourish and gain momentum anywhere online. Eventbrite focuses on empowering live experiences by providing a simple-to-use service that makes it easy for organizers to publish, promote and sell out events, and gives consumers a new way to discover events. Most recently, the company launched social event discovery, an effective and meaningful way to discover events which tightly integrates Eventbrite’s massive database of events with an individual’s personal social graph. This new “event graph” drives social event discovery and helps friends connect around live experiences by using the Facebook Connect APIs to let Eventbrite users share their upcoming events with their real world friends. Eventbrite is privately held and backed by Sequoia Capital. With a highly trained team of lawyers focusing on intellectual property, technology transactions, corporate and litigation services, Haynes and Boone’s Silicon Valley office is well equipped to address client needs in California and beyond. Most of our California-based lawyers have earned engineering or technical degrees in addition to law degrees, enhancing their understanding of the intricacies of intellectual property. With more than 70 full-time IP lawyers nationwide, Haynes and Boone’s Orange County and Silicon Valley offices are backed by the full resources of the firm, and multidisciplinary teams are available to address the opportunities California offers for many of our clients, in intellectual property as well as areas including in-bound Asian work, venture-funded corporate matters, and big-ticket litigation such as patent, securities, insurance coverage, and class action labor and employment matters. The Stanford Technology Ventures Program (STVP) is the entrepreneurship education and research center located within the School of Engineering at Stanford University. The center is hosted by the department of Management Science and Engineering. The mission of the center is to build a world-class center dedicated to accelerating high-technology entrepreneurship research and education for engineers and scientists worldwide. STVP supports academic research on high-technology entrepreneurship and teaches a wide range of courses to science and engineering students on campus. The outreach efforts include annual conferences, campus-wide collaboration, and dissemination of teaching content through the ECorner website. The Salesforce.com Foundation is based on a simple idea: Donate 1% of salesforce.com’s resources to support organizations that are working to make our world a better place. Our unique model was designed to grow along with salesforce.com. The ultimate goal: to disseminate the financial, technological and intellectual wealth of the organization to those in our communities who need it most. That’s the Power of Us. The Salesforce.com Foundation was officially launched at an event featuring former Secretary of State Colin L. Powell, less than a year after the company’s formation. More than ten years later, integrated philanthropy remains one of salesforce.com’s core values. Our success has proven that weaving philanthropy into the fabric of a company right from the start—rather than waiting for a certain level of comfortable success—is an approach that works. Entrepreneurs Foundation (EF) was founded in 1998 to make it easy for companies to meaningfully engage in their communities through strategic corporate citizenship and corporate social responsibility programs. Through Entrepreneurs Foundation, over 880+ companies in the United States and Israel have created corporate foundations and community benefit programs. In partnership with Entrepreneurs Foundation, companies leverage their corporate assets to create customized philanthropy and community programs that meet corporate objectives and serve social needs. Entrepreneurs Foundation provides expertise, resources, best practices and a network to companies so that maximum corporate and community benefit is achieved. Additionally, Entrepreneurs Foundation provides a unique model for pre-public companies to invest in their communities by seed funding corporate foundations with pre-IPO stock. AOL Ventures is the venture capital arm of America Online (AOL). Focused on early stage investing in technology-centric consumer Internet companies. They are primarily interested in giving talented founders the unfair advantage they need to scale quickly and grow great companies and tend to focus on opportunities where the fund can bring a blend of their partnership’s value mixed with some flavor of AOL’s involvement. AOL Ventures generally looks to invest in Seed and Series A opportunities and is broadly interested in a variety of themes around AOL’s core; content, advertising, local/mapping, paid services and consumer applications. With one of the industry’s largest advertising networks, AOL engages consumers with online advertising services on both AOL’s owned and operated properties and third-party Websites. In addition, AOL operates a premium subscription-based access service in the United States. Dogpatch Labs was created by Polaris Venture Partners to connect entrepreneurs and help founders conceive and launch startups. They offer desk space, bandwidth, coffee and snacks to aspiring entrepreneurs. Dogpatch Labs has four locations: Cambridge, MA; Palo Alto, CA; New York, NY; and a European location in Dublin. In 1996, Jon Flint, Terry McGuire, and Steve Arnold founded Polaris Venture Partners. Their vision was to identify and invest in exceptional entrepreneurs and operating companies with innovative and disruptive ideas, the skills necessary to become market leaders, and a passion for success. Since its inception, Polaris has believed that diversification across company stage and across industries is the key to outstanding long-term results for the firm’s limited partners. Oracle provides the world’s most complete, open, and integrated business software and hardware systems, with more than 370,000 customers—including 100 of the Fortune 100—representing a variety of sizes and industries in more than 145 countries around the globe. Oracle’s product strategy provides flexibility and choice to our customers across their IT infrastructure. Now, with Sun server, storage, operating-system, and virtualization technology, Oracle is the only vendor able to offer a complete technology stack in which every layer is integrated to work together as a single system. In addition, Oracle’s open architecture and multiple operating-system options gives our customers unmatched benefits from industry-leading products, including excellent system availability, scalability, energy efficiency, powerful performance, and low total cost of ownership. We are conveniently located in Menlo Park (next to Palo Alto) between San Francisco and San Jose. We are a full-service conference center, catering service and cafe. Our center is nestled among trees high on Sand Hill Road, with stunning views overlooking Stanford and the Bay. We have been proudly serving the bay area’s peninsula for over 20 years. Our experienced staff can arrange large conferences, elaborate receptions, or intimate functions for small groups. We offer a variety of menus to suit your on- and off-site catering needs. We offer breakfast buffets with homemade baked goods, hot and cold lunch buffets, and vegetarian items. Sit-down events for lunch and dinner are also available. The Wahoo’s story begins in 1988, when the three Wahoo’s brothers, Wing, Ed and Mingo, combined their love of surf and food to create a restaurant with an eclectic Mexican/Brazilian/Asian menu and a Hawaiian north-shore vibe. Wing, Ed and Mingo were born with the love of restaurants in their blood. Growing up in San Paolo, Brazil, they actually spent their early years above their parents’ Chinese restaurant. After school, you could find the brothers in the restaurant peeling shrimp or washing dishes. In 1975, the family moved to Orange County, California, where their dad opened the famous Shanghai Pine Garden Chinese restaurant on Balboa Island. People such as John Wayne would frequently eat there. The brothers grew up both in the restaurant and on the beaches. Addicted to surfing, they would travel south to Mexico to surf and there got introduced to the fish taco. Years of surfing trips to Mexico created a craving for the specialty of charbroiled fish, salsa and tortillas. Club Quarters in San Francisco is located in the center of the prime business (and financial) district and across from Embarcadero Center, the city’s most prestigious office complex, with shopping, movies and restaurants. Near all major office buildings. A short walk to Market Street and most downtown points of interest, such as Chinatown, Union Square and North Beach. Convenient to the cable car system and a brief ride to Fisherman’s Wharf. Featuring the Elephant and Castle Pub and Restaurant with both a full American menu, as well as English pub grub at the bar.